I love this season. Thanksgiving is one of my favorite holidays, and right after that come holiday parties and celebrations. I entertain at some New Jersey parties that have long histories, often going back for decades. December is a busy season, playing piano and singing at both private parties and corporate events. Many of them have annual traditions I always look forward to. 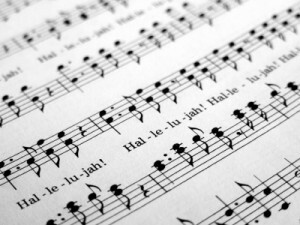 One particular house party includes an elaborate sing-along with not only the usual classics, but also the “Hallelujah Chorus” from Handel’s “Messiah”, sung in four-part harmony. I actually spend a lot of time rehearsing this, because I want to match the high quality of the singers. And my piano playing is not the only musical entertainment; a bagpipes player is a special treat. Another Christmas party has a charming custom of asking guests to bring small items symbolizing something they’ve done in the past year, and hanging them on the tree. For another party, close friends jointly host the event at their country club. And then there are the great songs. In my opinion, Christmas songs are some of the best ever written. Among my personal favorites are “White Christmas”, “The Christmas Song” (“Chestnuts roasting…”), and “Have Yourself a Merry Little Christmas,” originally sung by Judy Garland in the movie “Meet Me in St. Louis.” Finally there is “Let it Snow! Let it Snow! Let it Snow.” Would you believe this song was written by Sammy Cahn and Jule Styne in 1945 on one of the hottest July days recorded in Hollywood? At these parties and all others, the camaraderie, warmth, and joy are palpable. I leave each one feeling honored and privileged to have been a part of it. However you celebrate your holiday, I wish you a Happy Thanksgiving and a Happy Holiday season.